Web-based software for agencies providing services to individuals with intellectual disabilities. Multi-Program Human Services Management for organizations with multiple agencies in multiple states. 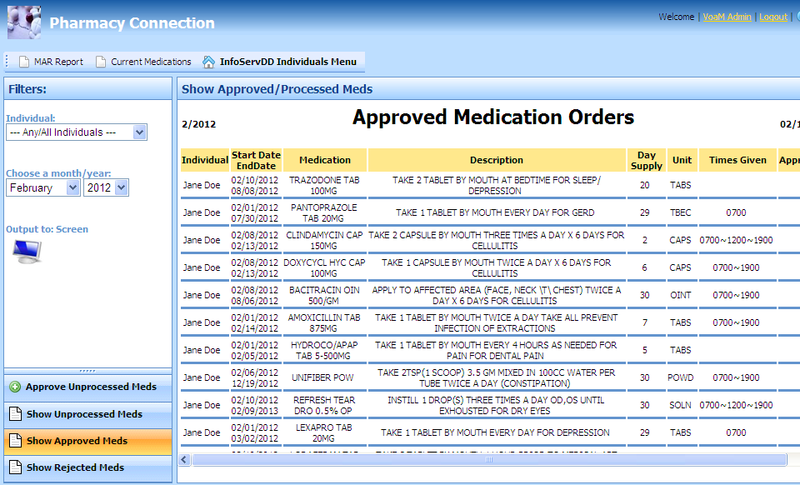 Seamless integration with your pharmacy minimizes data entry and prevents medication errors. SRMCare's touch-screen optimized interface makes it easy to provide quality care for your residents. PHS developed our first product, InfoServDD, in 2000 in order to provide software to agencies serving individuals with developmental disabilities. InfoservDD is a web-based, HIPAA-compliant system that is in use by many agencies in different states. Each state has its own requirements for tracking the information associated with the service recipients at each agency. There is no "one size fits all" solution. Charting: Attendance, BM, Hygiene, Seizure, Seizure Observations, Weight, Menstrual, Day Services, Fluid Intake, Fluid Output, Vitals, Supportive Employment, Sleep, Positioning, Range of Motion, Body Inspection, and more. Notes: Shift Notes, Progress Notes, Nurse Notes, Therapy, Behavior, ABC, Automated Monthly and Quarterly Reviews, etc. Our software contains extensive security facilities to ensure that users have access only to authorized information. In addition, the PHS servers are protected from unauthorized access using sophisticated security measures. Independent support coordinators, service providers, government officials, family members, advocates, legal representatives and others involved can be provided with secure access to information about individuals that they serve. 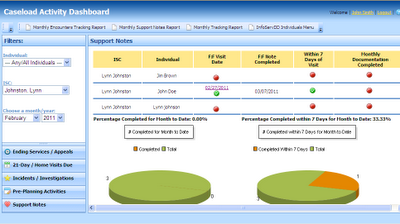 We now have the ability to access and manage a full range of critical information in real time. PHS's InfoServDD is allowing us to change and improve the very essence of how we conduct business. We are becoming more effective, more efficient, and more proactive. InfoServDD ". . . has many other benefits for everyone (DIDD, Providers, ISC's, etc.) in having readily available, minute-to-minute access to critical information." For the first time, we have confidence that our billing is accurate and is totally supported with documentation that we can review at any point during the month. At Community Concepts, Inc., we use technology to improve both our operational and programmatic systems. We utilize biometric fingerprint scanners for payroll and record keeping purposes. 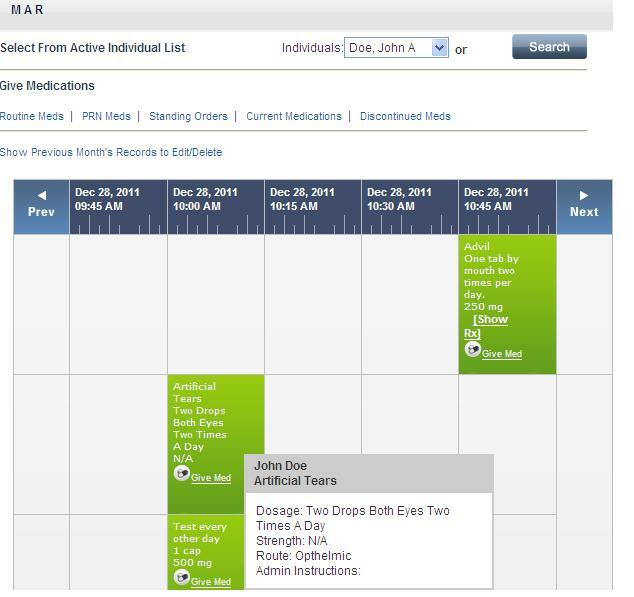 Like many other providers, prior to implementing this system in 2009, we used a paper time sheet system. Paper record keeping is inefficient. 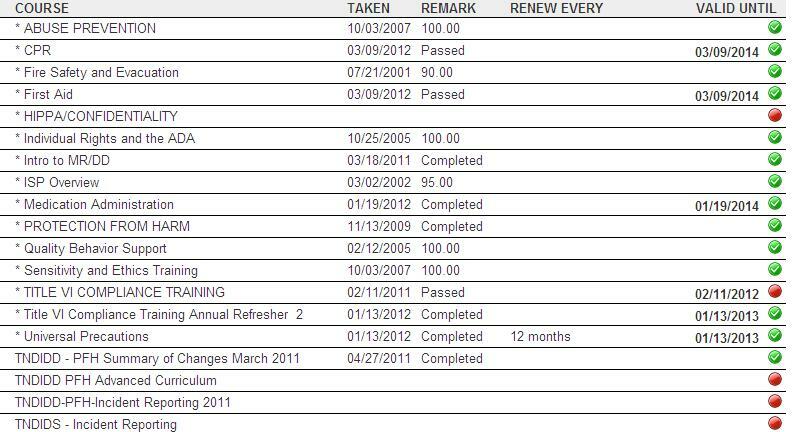 Twice monthly, our management team spent at least 20+ man-hours on reviewing such paper time sheets. Today, the Community Concepts, Inc. management team spends 1.5 hours every two weeks reviewing the same time. What do we do with almost a full work-week more a month? We place our attention back where it belongs -- on the persons we support! The benefits of the biometric fingerprint scanners does not stop with the persons we support. Because we require all employees to clock-in using their own fingerprint, we have experienced a significant reduction in time stealing, employee tardiness and are assured that we have adequate supervision at each site. Families and other stakeholders are entrusting us with the care of the persons we support. We feel it an obligation to uphold that trust through innovative technology that improves the monitoring and supervision of our employees.